Episode 143 features Samantha Temme-Raberding, who hails from Toledo, Ohio, where she lives with her husband and one “fur-child.” Samantha is a SLP, currently working in a skilled nursing home. Listen in as Samantha shares how she chose her profession and acknowledges that she considered careers that would require the least amount of communication. Samantha also discusses her years of avoidance and the anxieties and fears that had to be later undone. The majority of this episode focuses on Samantha’s journey toward becoming a SLP and the lack of support and even negativity she faced in graduate school because she stutters. She chose speech pathology because she thought she’d be more accepted than other careers, but found that not to be the case. She was also told that her disfluency would take away time needed to spend with clients, and that she ranked in the top 5 of most severe stutterers a professor had ever heard. Samantha’s story of perseverance is compelling and inspiring. She wants to shout out Marilee Fini who was an amazing mentor and support through her grad school experience. 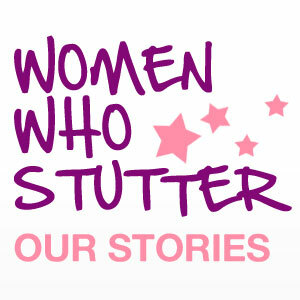 This is an interesting story that brings up the issues of shame regarding stuttering. Stutterer and country singer Tim Poe auditioned for the reality TV show “America’s Got Talent” in Texas this past week. Before performing his song, his pre-interview showed him stuttering. So what, you might say. Mr. Poe is a military veteran who claims he was injured in combat in Afghanistan and suffered a traumatic brain injury (TBI.) He claims the stuttering is a result of the TBI. Within 24 hours of his television audition, the media reported that Mr. Poe lied about being injured and that his stuttering was not the result of an injury, which would have made it neurogenic stuttering. It appears that Mr. Poe has indeed been a life-long stutterer and was so embarrassed that he felt he need to create an elaborate lie about his circumstances. A lie that illustrates the shame of stuttering and a lie that illustrates disrespect to military veterans who have indeed been gravely injured. I have heard of people who stutter who make up other reasons to explain stuttering, so they don’t have to admit or acknowledge the stuttering. People have coughed, cleared their throat, said they swallowed wrong, pretend to word switch. Some people are so embarrassed and ashamed of their stuttering that they will do anything to hide it. This example is extreme. What do you think? There were quite a few comments, including mine. 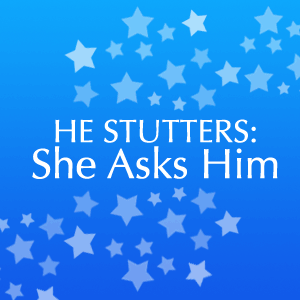 I heard from some readers in the stuttering community that their comments were not approved to be posted on the article. What do you think? There are many perspectives on this topic. Kudos to my young friend, Philip Garber, who is featured in this New York Times article today, A Stutterer Faces Resistance, From the Front of the Class. I know Philip, who is 16 years old, from the NSA. I have known him for a couple of years, so have had the opportunity to see him “grow up” as a young person with a profound stutter. I also know Philip’s mom, Marin, who is mentioned in the article. I got to spend more time getting to know Marin at this year’s NSA conference in Ft Worth, Texas. We ran into each other at the airport on the way to Texas (! ), and hung out quite a bit, sharing some meals together. When this discouraging incident happened with Philip last month, Marin emailed me and asked my opinion of how Philip might handle the matter. We bantered a few thoughts back and forth, but ultimately Philip decided how it would be handled. He is quite skilled at self-advocacy. I suggested that Philip should do a presentation to the faculty on stuttering awareness, and am pleased that he IS going to do this at some point. Please take the time to read this article and the many comments (355 the last I saw!) The reactions are mixed. What do you think? Do you think Philip was discriminated against? Do you think that the professor was reasonable in asking that Philip not speak in class? Is the article too one-sided? What lessons can be learned from this scenario? Here’s a video that Philip did last year to commemorate International Stuttering Awareness Day, which is October 22. Hard to remember he is only a kid!